Discount Office Furniture 4 U offers a one stop online office furniture shop for all your office furniture and home office furniture needs. We are committed to providing you with the best in quality and pricing on office chairs, desks, credenzas, conference tables, reception furniture, office files and more. Our 30 years of office furniture experience helps you to make the best office furniture choices, with the ease of free shipping. We understand that you are looking for the best possible pricing on your office furniture. Whether you are purchasing chairs, desks, lateral and vertical files, conference tables, or any other products we offer, our policy is to meet or beat any advertised price from an authorized dealer. All of our office furniture is offered to you with free and fast shipping, anywhere in the continental United States. If you require set up and installation, please contact us for additional information. Why Buy Office Furniture From Us? Customer Service is the key to our success. Whether you are purchasing one office chair, table, storage files or an entire executive office, we realize our prompt response to your needs is mandatory. 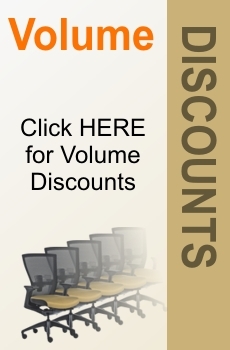 We offer Free Shipping on all of our office furniture products. Unbeatable Prices and a Price Match Guarantee. No Sales Tax (except in California). Quality Product Selection Assurance on every product you purchase backed by established manufacturer warranties. Great White Board -- Poor Cork Board. Top quality and outstanding value! . Mahogany set is to die for! Great work space for everything from business to my children's homework. Beautifully made and what a deal! The dark cherry color looks great in person! Very happy with my purchase.